Casting for the EnsembleImpact National Schools Tour is complete! The team start rehearsals in April with the tour beginning 8th May. There are still a few school performance times available. See our booking page for more details about the tour or email Clare Kerrison. Gisborne born Simon Paenga began pursuing his passion for performing at Lytton High School. His array of accolades in singing, acting and dancing, led him to study at NASDA in Christchurch, where he graduated with a degree in Performing Arts, majoring in Musical Theatre. Since then he has appeared in Musicals both here and in Australia, and recently completed his third year of the National Tour with Duffy Theatre. Hannah went to Wanganui High School, has a BA (Hons) majoring in Theatre & Film from Victoria University and attended The John Bolton Theatre School in Melbourne. She is a regular performer with Wellington’s Patacake Productions and won Best Actress in the 2015 Short + Sweet Festival for the play Last Meals. Hannah plans to take her solo clown show to Melbourne Fringe later this year! Of Samoan, Chinese and German descent, Lee went to Mangere College in Auckland and studied acting in Australia with AAA Sydney acting school. He’s spent most of his acting life since 2011 on camera. He most recently studied with “Kacie Stetson Studio- Acting from the core” (Auckland). Lee plays drums and is also a martial artist. Hilary attended Sacred Heart Girls’ College in New Plymouth and has her honours degree majoring in theatre at Victoria University. She is now an actor and director in Wellington and a member of the multi-award winning theatre company, The Bacchanals. In 2015, she participated in the Shakespeare Globe Centre New Zealand’s Emerging Theatre Practitioner Programme at Shakespeare’s Globe in London. 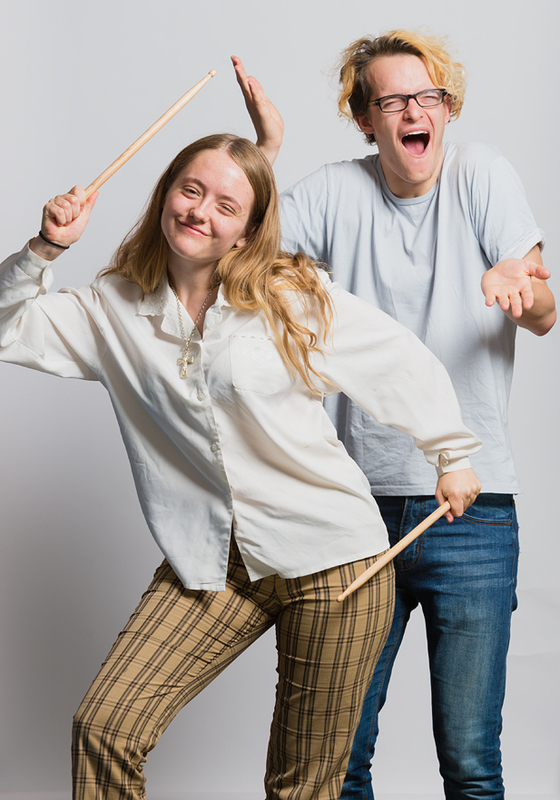 Young and Hungry are calling for Wellington’s young performers, designers, techies and theatre-lovers to register as cast and crew for this year’s Festival of New Theatre. We are looking for actors, assistant directors, stage managers, designers of sets, costumes, lighting and sound, production crew and publicists aged 15-25. No previous experience necessary. You’ll be mentored the whole way through rehearsals and production. 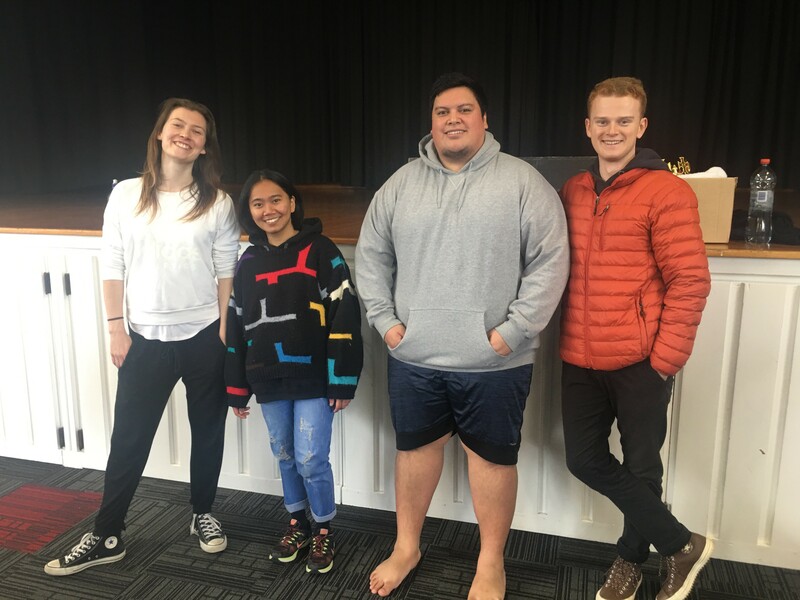 The annual Festival of New Theatre is comprised of three new New Zealand scripts, written specifically for young people and commissioned through the Playwrights’ Initiative. 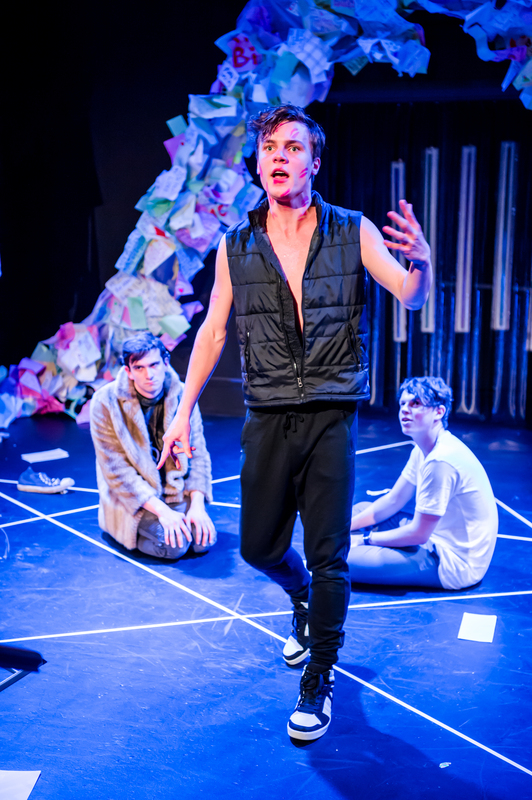 The festival is performed and designed by 15-25 year olds in a two-week season at BATS Theatre in Wellington, with each of the three productions being performed every night. Professional theatre practitioners are contracted by Young and Hungry to mentor cast and crew in all facets of the Festival’s production, including: acting, lighting design and operation, sound design and operation, costume design, set design and construction, and stage management. 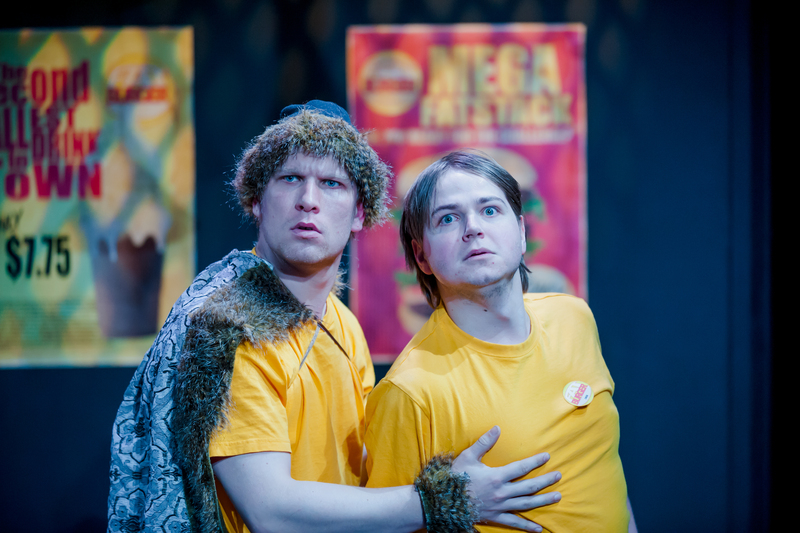 The rehearsal and design process runs over ten weeks to ensure that enough time is given to both the actors’ character development and the technical students’ design realisation. The world’s biggest boy band is in town for one performance. The fans are there, the press is there, but what’s happening with the boys? The playwrights whose work is in the 2017 EnsembleImpact National Schools Tour are confirmed! OUTLIERS will include an extract from Manawa by Jamie McCaskill. Jamie was awarded the Bruce Mason Playwrighting Award in 2012, the year Manawa debuted. His current projects include Tikapa productions and the The Māori Side Steps webisode series. 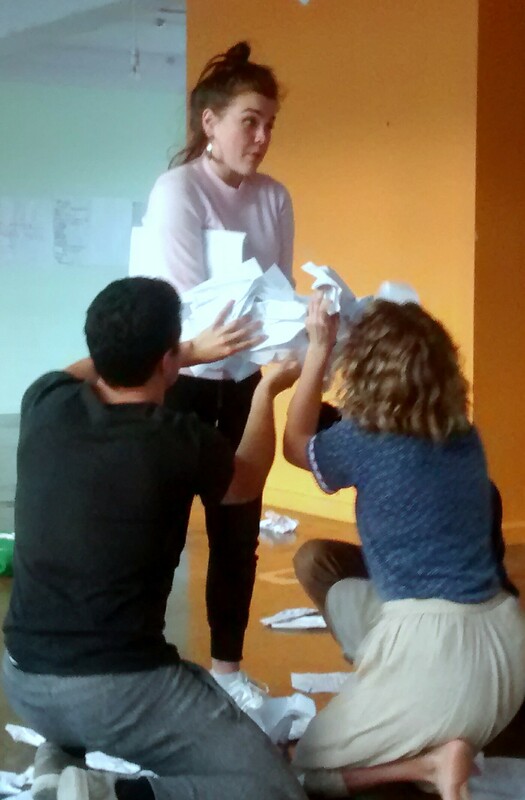 Also included in the tour is a monologue from A Cripple Talks About Anatomy by Henrietta Bollinger, The play was shortlisted in 2012 for Playmarket’s b4 25 competition. Henrietta’s current projects include the Token Cripple column for Salient magazine. The rest of the playwrights are Greg McGee, Briar Grace-Smith, Sam Brooks, FME Desmarais, Nathan Joe, Ralph McCubbin Howell and Lori Leigh. List of all the extracts. Curriculum support materials include free digital access to a filming of the work, online study guide and the chance to add on an UNPACK IT! workshop at low cost. 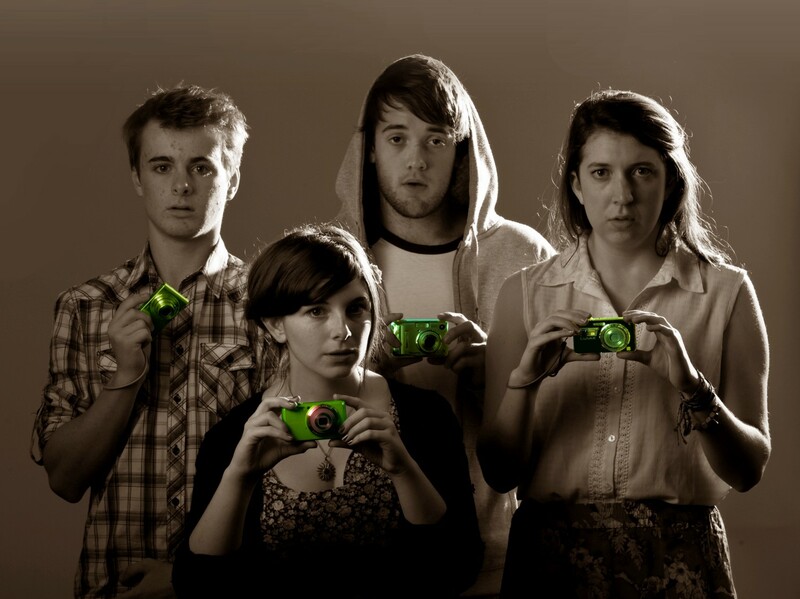 The EnsembleImpact National Tour is a 50-minute bare bones programme of quality NZ theatre that comes direct to your drama room or auditorium. Touring 9 May – 23 June. We’re back into our Wellington office this week after a structural all-clear. Our hearts go out to everyone affected by the latest seismic activity. The other major event on Sunday 13th was that NZ Playwright Sam Brooks received the 2016 Bruce Mason Award. We’re including the fabulous ‘Beyonce’ monologue from Sam’s Queen in the 2017 EnsembleImpact National Schools Tour. Sam is already part of the Young and Hungry family. 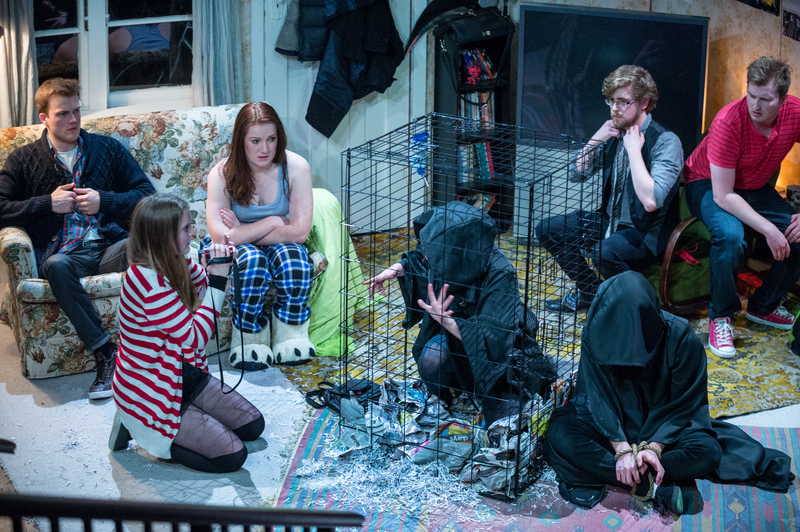 His play The 21st Narcissist was commissioned in the 2014/15 Playwright’s Initiative and in the 2015 Festival of New Theatre. 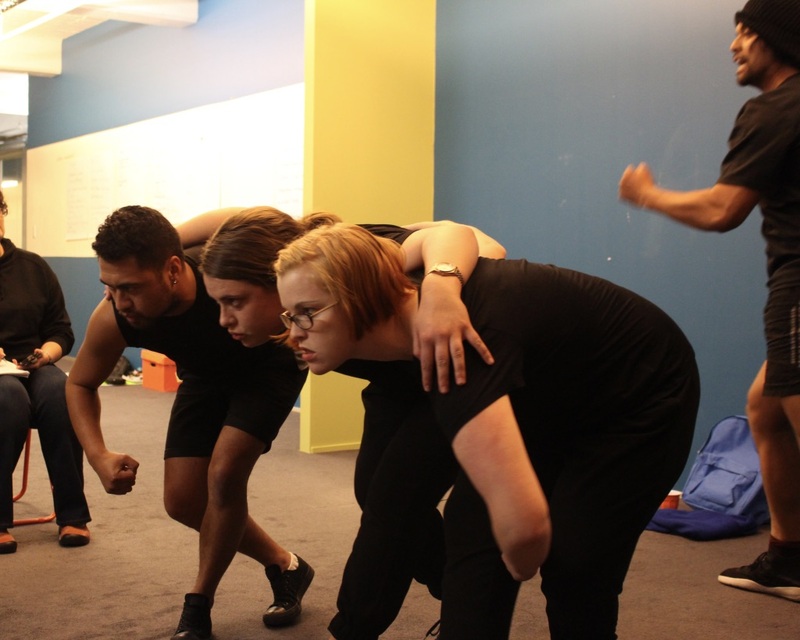 The EnsembleImpact National Tour is a 50-minute bare bones programme of quality NZ theatre that goes direct to a school’s drama room or auditorium. Touring 9 May – 23 June. 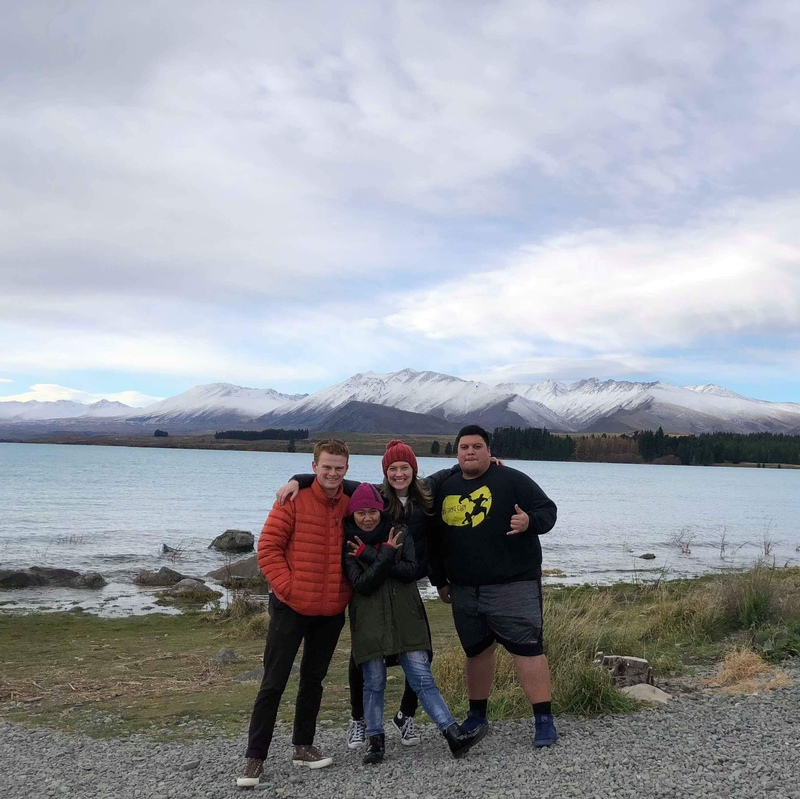 The tour is filling out with over 20 schools in Wellington, Nelson, Christchurch, Timaru, Queenstown, Waikato, Northland, Auckland, Whakatane and Hawkes Bay confirmed. There are still performance slots available in those areas and areas not yet represented. We’ve confirmed two NZ playwrights from the NZQA prescribed list who will feature in OUTLIERS, the 2017 EnsembleImpact National Schools Tour. The cast will perform the outgoing monologue from Greg McGee‘s Foreskin’s Lament and an extract from the work of Briar Grace-Smith. Kerryn Palmer (Director) and KC Kelly (Dramaturg) are busy reading a a range of modern NZ plays which reflect the OUTLIERS theme. 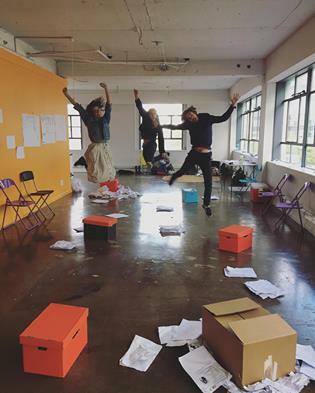 We’ll be sharing more confirmed playwrights in late November and the finalised list of extracts will be available to teachers in January 2017. Or email Clare Kerrison [email protected] to make a booking enquiry now. 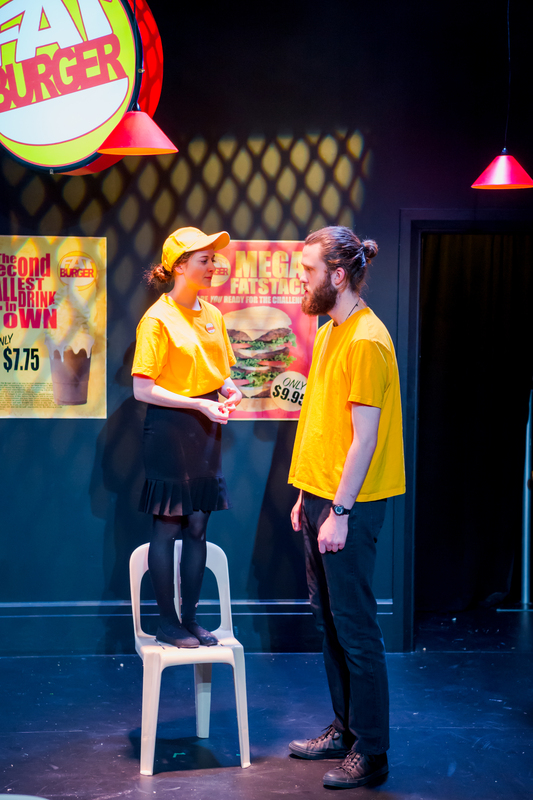 OUTLIERS features extracts from modern NZ plays that voice what it is like in the out-groups and in-groups of a normalising world. Whether punk, hoon, goth, geek, queer, nerd or whatever, this show can open discussion about the labels we identify with and the ones we’re stuck with. 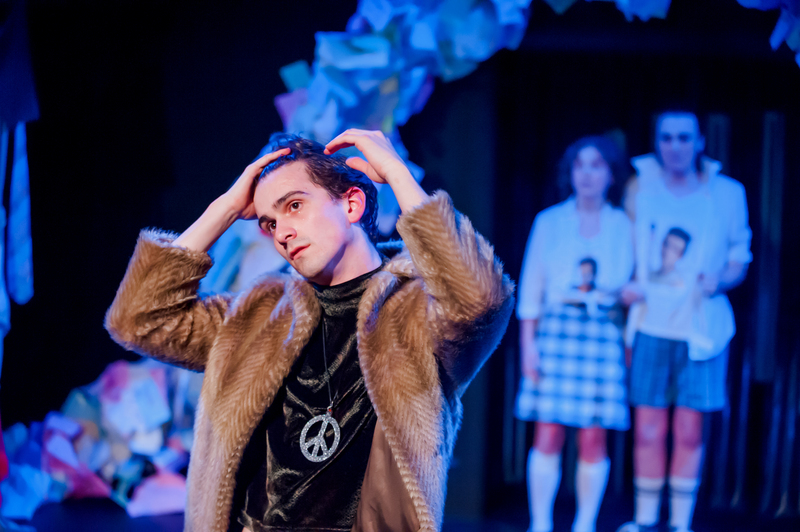 Remember the time you had…falling in LOVE with theatre? Young and Hungry Arts Trust are thrilled that Kerryn Palmer has agreed to direct, OUTLIERS, the 2017 EnsembleImpact National Schools Tour. Kerryn directed the 2014 tour, Asian Invasion, which was described by one teacher as ‘the high-water mark’ of EnsembleImpact’s repertoire. I am really excited to be directing another Ensemble Impact production. Asian Invasion 2014 was a highlight for me, working with a fabulous and diverse cast and a real smorgasbord of dynamic NZ texts. Outliers 2017 presents another challenging and exciting theme that I am looking forward to embracing with an energetic new cast. The theme is one close to my heart. Growing up in a small rural town and not really finding my own “tribe” of people until my 20’s, I am aware of what it is to think a little differently from the status quo. We are currently pouring over several NZ scripts in order to find the right balance of extracts that will speak to young people in an exciting and engaging way about being proud of who they are regardless of their beliefs, behaviors, thoughts and abilities. In 2003 Kerryn completed her MTA in directing at Toi Whakaari-New Zealand Drama School and Victoria University Wellington (VUW), graduating with distinction. She has directed many touring shows that travel around New Zealand, most recently Capital E’s Kiwi Moon. and Ensemble Impact’s Asian Invasion. Kerryn is passionate about new New Zealand plays and has directed several debut performances, four of which have either won or been nominated for Chapman Tripp new play or best new playwright awards. 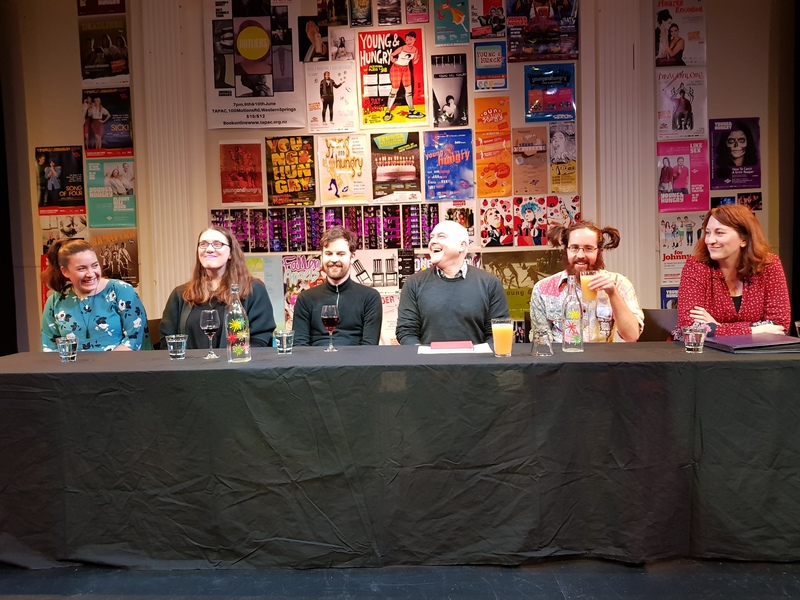 Kerryn is currently a teaching fellow in the Theatre Department at Victoria University and is working on a PhD in Theatre for Young Audiences. 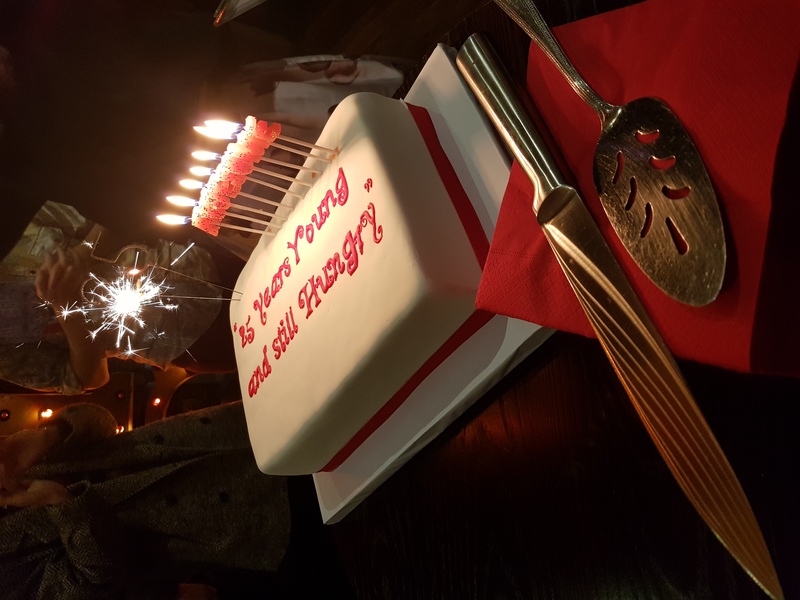 We have welcomed Clare Kerrison into the Young and Hungry office. As Programme Administrator, Clare will be working on Young and Hungry’s new programme – the EnsembleImpact national tour. She has started at a run and it is great to have her expertise helping to get EnsembleImpact well established into Young and Hungry. Clare has recently returned from the UK where she was administrator for an arts consulting firm and ran her own improv school. Before leaving NZ she was Business Manager for BATS Theatre in Wellington. In her younger days as an actor she performed in a five month tour of ‘Animal Farm’ to schools in Bavaria, Germany. Congratulations to Brianne Kerr for winning the Wellington Theatre Awards 2015: Supporting Actress of the Year Award. Brianne won this award for performing in Richard III staged by The Bacchanals. 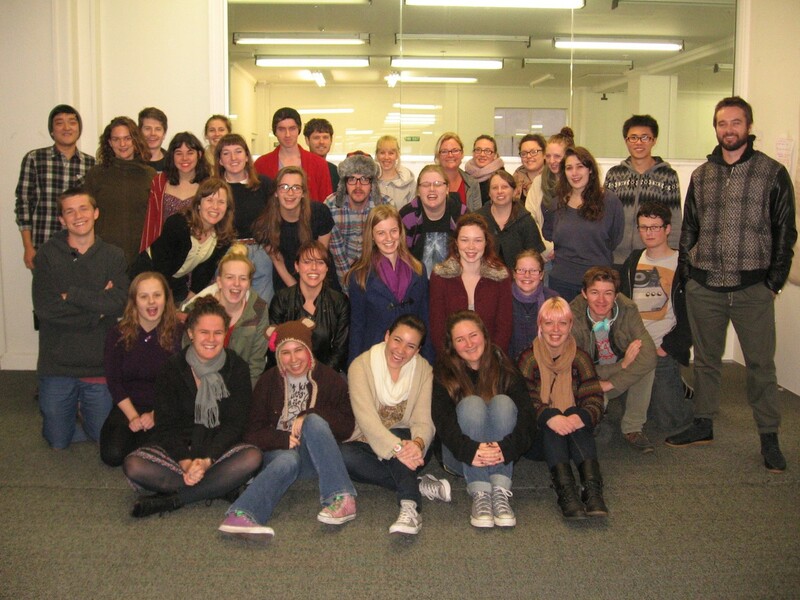 We are fortunate enough to have Bri as a board member for the Young and Hungry Arts Trust.